Here, we are going to look at how one person company can be formed by following the prescribed procedures. We already know that what is one person company since the name itself clearly indicates that the company with the single director can form a firm. Some doubts may arise, when comes to formation. Look at this content, you will get a clear idea. will be the eligible one to incorporate a company. can be a sole member or the nominee of an OPC. Resident in India refers a person who stayed in India for a period which should not be less than one hundred and eighty-two days in a calendar year which immediately precedes. 1) No person shall be eligible to incorporate more than an OPC or become the nominee in more than one such company. 2)When a person who is a member in OPC in accordance with the rule, also becomes a nominee in another such company shall meet the eligibility criteria within 180 days of time period. 3) A member who is a minor, neither become a nominee of a company nor holding a share with the beneficial interest. 4) Such company cannot carry out Non-banking financial investment activities including investment. Memorandum of one person company indicates the name of the other person with his prior consent in the prescribed form. In the event of death, the inability of a subscriber will obviously turn that nominee into an active member. This will be possible if the prior written consent filed with the registrar at the time of incorporation. The nominated person name will be mentioned in the memorandum of one person company and such details will be in For.No INC 2 and the written consent of that nominee will be in Form.No INC 3. The forms and the fee will be filed with the ROC at the time of incorporation. The person who is nominated by the subscriber of the one person company can withdraw his consent by giving a notice to the person who is a sole member of that OPC. The sole member shall nominate another person as a nominee within fifteen days from the receipt of the withdrawal notice and also send an intimation about the nomination and the consent of the nominee to the company in the Form.No.INC3. Within 30 days of the receipt of the withdrawal of consent, the company should specify the details of the another nominee details in Form.No INC 4 along with the fee which is provided in the companies and the written consent of the nominated person in Form.No.INC3. The subscriber or the member of the OPC who can change the name of the nominated person at any time for any reasons. If an OPC or a member in that company contravenes the provisions of the prescribed rules, will be punished with the fine amount which may extend up to 10,000 rupees and if this contravention continues after the first penalty then, they will be fined one thousand rupees for every day. Even a single person can start the company. Liability of the member of OPC is limited than the other forms of the company. 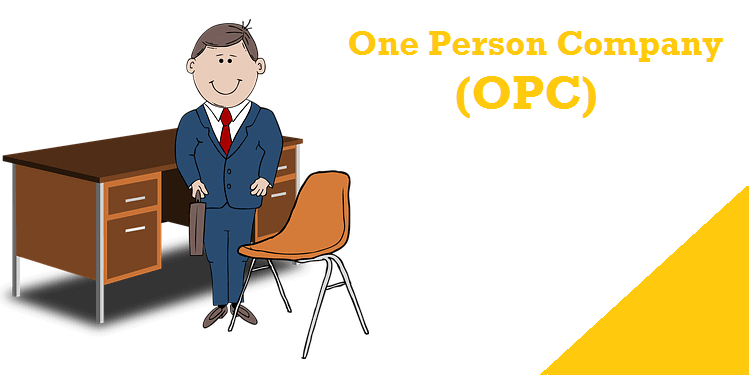 Number of director of the OPC is minimum one person. An OPC can treated as separate legal entity from an individual person. Annual General Meeting is not necessary in the form of an OPC. The Business which started by the one person will not come to end on the death of that individual person. OPC is unlimited with and without share capital. It has only one share holder and Only one single owner of the business. It is one of the best way of secured the personal wealth and it obtain less compliance. It has greater creditability than other forms of business. The Individual person has the Complete Control of an OPC. We “Solubilis Corporate Services” are there to provide the best possible solutions from the team of experts to the clients in an efficient way. One person company registration can be done within the minimal duration of time.